Delectably spicy lime pickle, which is perfect, paired with rice, curries and meat dishes. It is prepared with fresh limes, chillies, salt, vinegar, green pepper & a range of spices and will also be delightful with cheese and crackers or served with yoghurt. Lime (76%), chillies, peppers, sunflower oil, vinegar & spices. 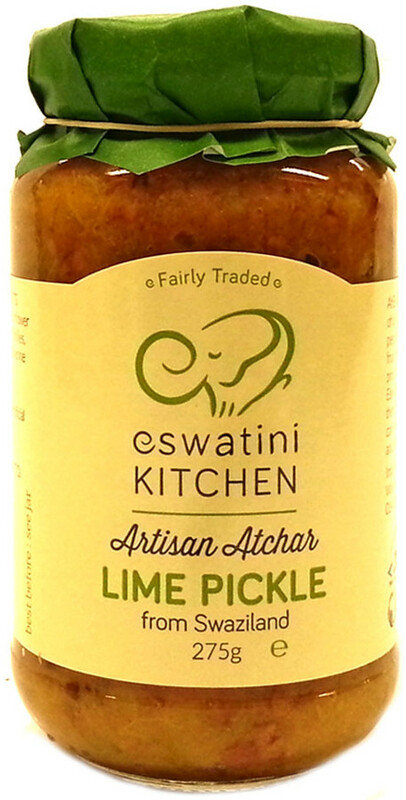 The Eswatini Swazi Kitchen Lime Pickle - 275g product ethics are indicated below. To learn more about these product ethics and to see related products, follow the links below. Another extremely tasty product from Eswatini Swazi Kitchen. 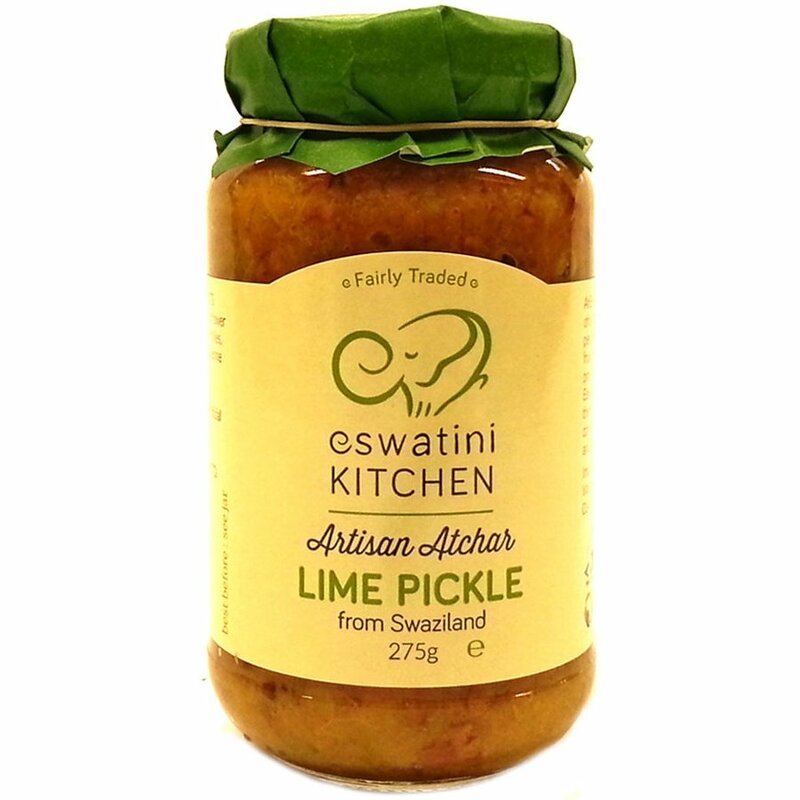 There are currently no questions to display about Eswatini Swazi Kitchen Lime Pickle - 275g.